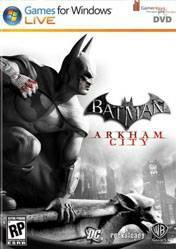 Arkham City is an open world action video game that incorporates elements of stealth and predator tactics. The gadgets previously obtained in the first game are present at the start of Arkham City, while others are available later in the game. Most of these gadgets have improved or boast new capabilities; for example, the Cryptographic Sequencer can also track signals, the line launcher now can be deployed as a tightrope and has a feature that allows Batman to flip over and launch another zipline, switching directions. The remote control Batarang now has a built in brake and boost, and the grappling gun can now be used while gliding to boost Batman further up into the air. New gadgets include smoke pellets to confuse armed enemies when spotted by them, the Remote Electrical Charge, a taser gun used to power generators and shock enemies, ice grenades used to freeze enemies and make pathways through water, and a signal disruptor used to jam firearms and detonate enemy explosives. The game incorporates more puzzle elements; the use of Batman's "Detective Mode", which highlights elements such as enemy skeletons and clues on-screen, is used to perform forensic activities such as tracing the origin of a sniper round. Awesome game. The city looks good and the free roaming is limited but fun forba while. What makes this game great is the story,combat and stealth. Wonderful game, but you need the Catwoman DLC for the full experience - her episodes are intertwined with the main story. Awesome game, a must try~! DON&#39;T YOU TOUCH CATWOMAN!!! | BATMAN ARKHAM: CITY EPISODE 1 FULL GAMEPLAY!! !